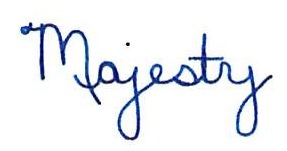 Diamine's Majestic Blue is not a perfect ink. If you're looking for an ink that is fast-drying and water-resistant, you should move along because this is not the ink for you. However. 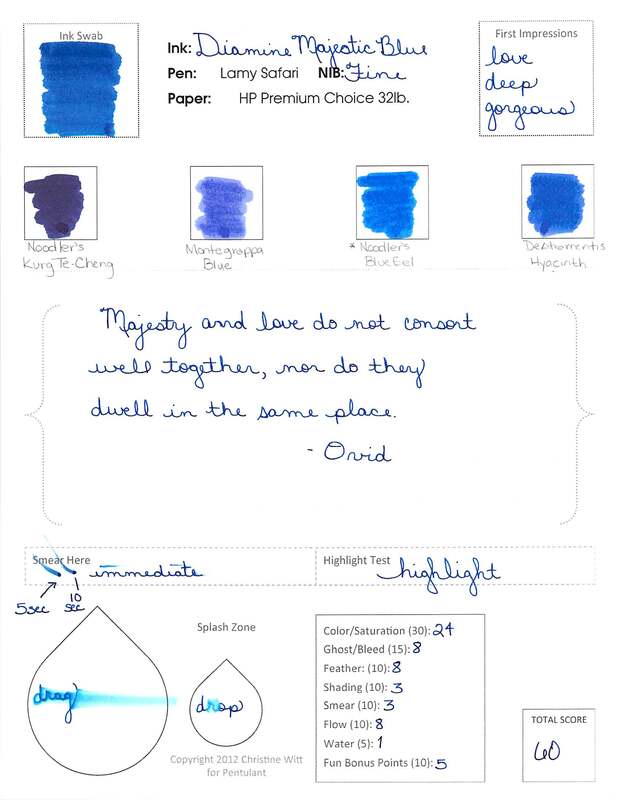 If you're looking for a blue ink with absolutely fabulous color and saturation - this may be the ink for you. It is for me. The ink is rich with color. Not so bright that it cannot be used in an office environment. Not so dark that you question if the ink is blue or black. This is blue. I actually wrote this review awhile back (using my old and kinda misleading form) and loved it so much that I ordered a full bottle. I've used it nearly every day since then and am still in love with it. The fascinating thing to me about this ink is that sometimes, in the right light, at the right angle, there is a red sheen. I've not been able to photograph it, though. But, man, it's special - and it's not an intrusive sheen like some of the other inks about there. This is my blue ink. 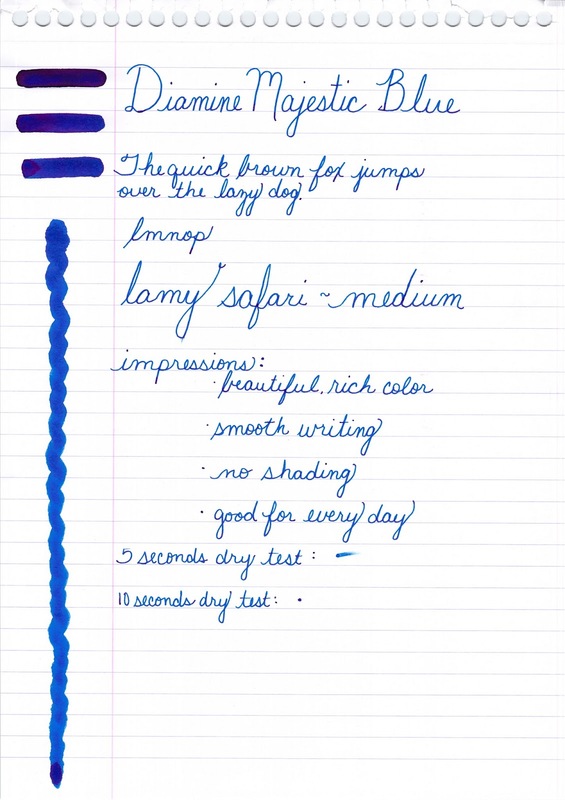 I am also realizing that I'm a huge fan of Diamine inks. It's all about the color to me - I can be (at least somewhat) flexible on other issues, but not color. No way, Jose. Oh oh oh..and look, I'm working on a much more casual format for testing inks.